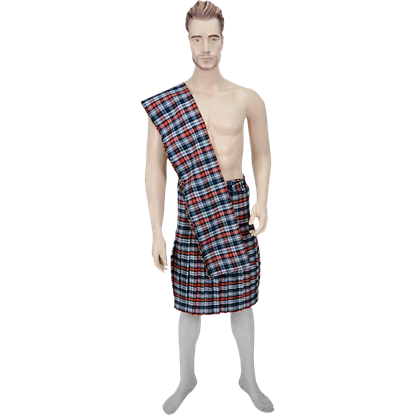 Honor Scottish tradition with the selection of mens kilts from Your Dressmaker. Those looking to dress as an authentic Scottish Highlander will find our high quality and expertly crafted kilts made with attention to authentic traditions and detail. This classic clothing piece often features tartan or plaid patterns and pleats, and our kilts at Your Dressmaker combine these important details with modern comfort for an easy to wear yet historically appropriate look. 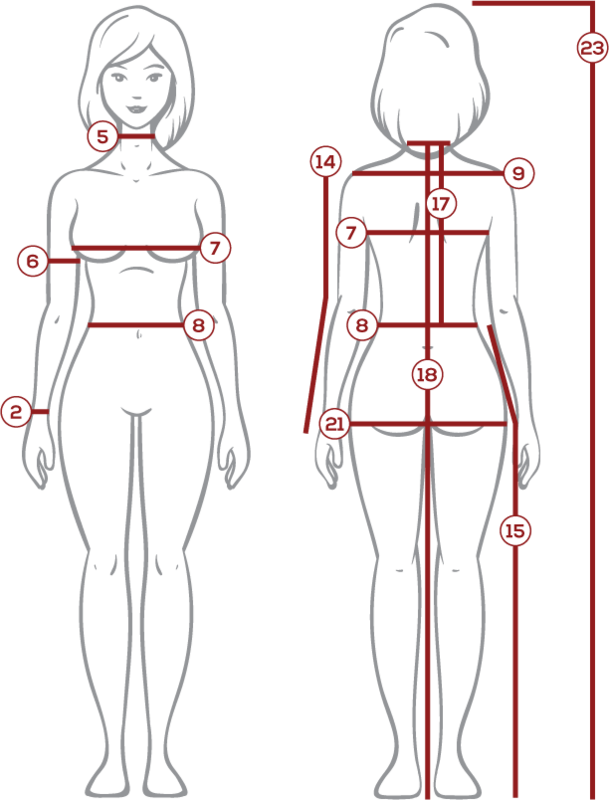 Traditionally, the tartan pattern of each historic kilt was known to identify its wearer as a member of a particular Scottish clan. 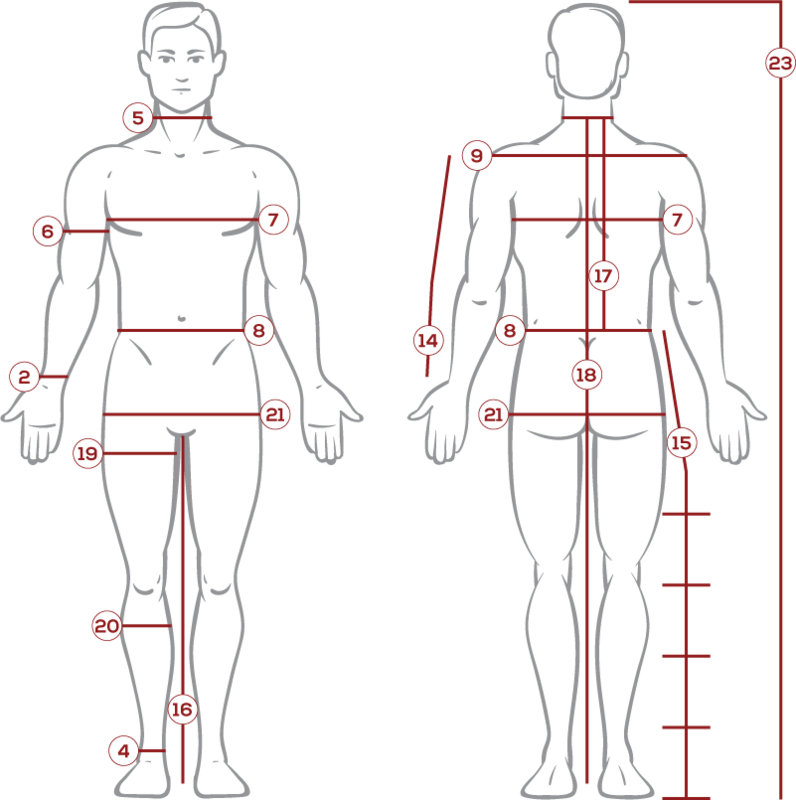 Many of our Scottish kilts are made from cotton and polyester blend fabrics. Made with attention to traditional style and length, our kilts are handmade and can even be tailored to suit your specific size. Wear any of our finely crafted medieval kilts to your next historic reenactment event, Renaissance festival, as part of a costume for a theatrical production, or for any occasion that calls for traditional Scottish attire. 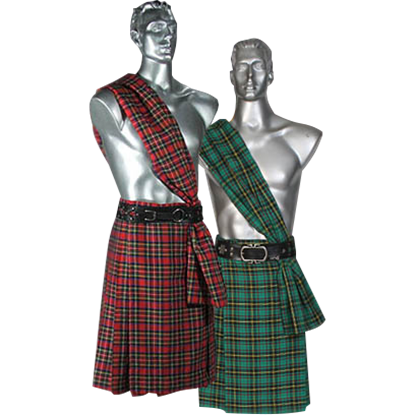 We also carry kilt and scarf sets to help you achieve a well-matched outfit. With the scarf worn over the shoulder as a sash and fastened with a belt, these sets are ideal for creating a comprehensive and authentically styled Scottish look. 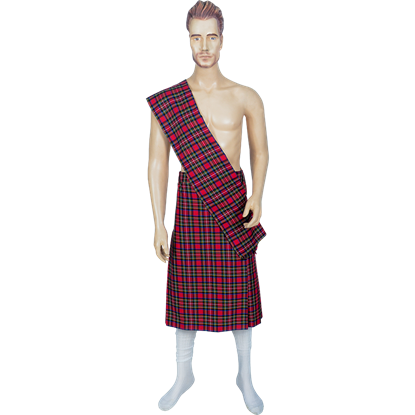 The Men's Scottish Kilt with Scarf is an attractive combination of a Scottish-styled kilt paired with a scarf. Made from a quality fabric featuring the tartan pattern, this garment is a great beginning to a traditional Scottish outfit. Despite the name having originated later, there is no better term to use to describe this garment then as a Roman Kilt with Scarf. 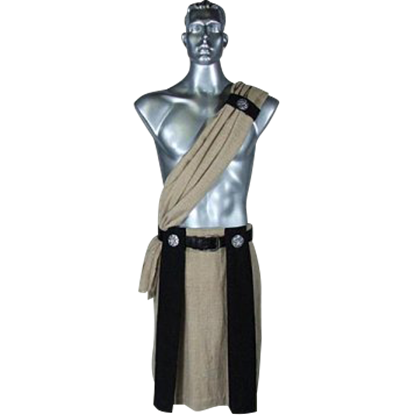 This kilt and scarf combination is made from woven cotton and looks great in roman and medieval looks.